The film was shot on location in the rugged mountains of Kurdistan with local, nonprofessional actors who were essentially playing themselves. Incredibly under these rough production circumstances, the film displays remarkably high production values, with superb cinematography and well-executed camera setups that support smooth, dynamic editing. As a consequence, the visual narrative has a natural, gripping flow that maintains the continuity of the storyline and the dramatic developments. 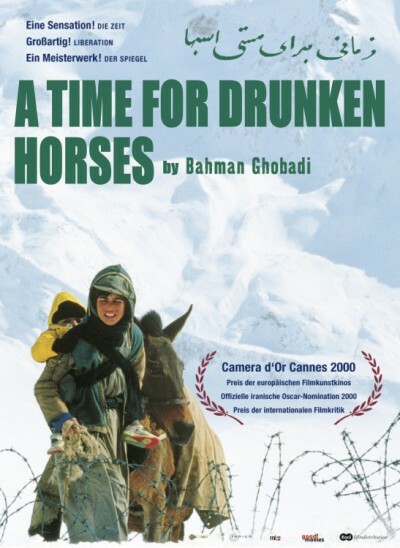 In fact the cinematography and narrative flow in this, Ghobadi’s first feature, are superior to those of his subsequent efforts, Marooned in Iraq (Gomgashtei Dar Aragh, 2002), Turtles Can Fly (Lakposhtha Parvaz Mikonand, 2004), and Half Moon (Niwemang, 2006).